Who is White Street Laundry Service? White Street Laundry is the solution to all your laundry needs. We are a delivery service with a commercial facility with trained employees providing affordable, convenient, laundry services. Our expert service is rolling out in Connecticut. Folks love the quality, reliability, and flexibility of our personalized plans. It’s easy – you schedule pick-up, tell us any specific requests, and we return your beautifully laundered garments and linens the next day. You probably use a yard service, so why would you spend your same valuable time doing the laundry when we could do it for you just the way you would (or better) if you had the time? Tell us your laundry and garment care preferences. We have a variety of detergents, softeners, and dryer sheets. We can even line dry your clothing if requested. Getting the laundry done has never been so easy and economical! 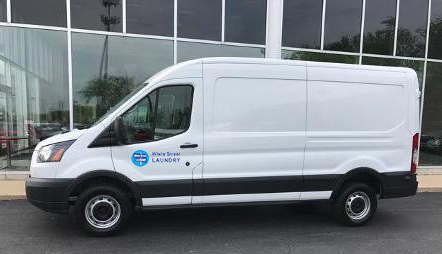 White Street Laundry also offers a commercial laundry service. If interested, please give us a call for a price quote.